Retaining talent in the contact center is an enormous challenge. Call centers have some of the lowest retention rates of any industry, and former call center agents often describe their experiences as rather unpleasant – to put it mildly. While there are many things contact center managers can do to improve the work environment and decrease attrition rates, the best way to ensure high retention and job satisfaction is to start by hiring contact center agents who are the right fit for your business. 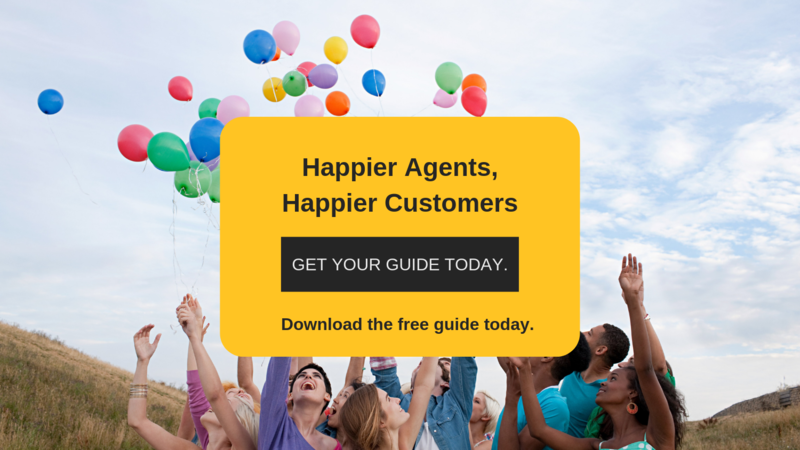 In the Mindsight guide, Happier Agents, Happier Customers, we discuss with contact center managers proven strategies to retain customer service talent. From onboarding strategies to workforce management, these contact center managers had a strong collection of methods to inspire their workforce to do their best work. Before you can retain top talent, you need to locate, interview, and hire call center agents worthy of representing your brand. Here, we’ve gathered a few successful strategies to accomplish this. There are a million ways to advertise a job opening, but social media offers a few unique advantages. With paid advertisements, you can target your audience to those most likely to fit your needs. These are large platforms with a potentially large reach. Most importantly, however, social media is proving to be crucial for modern customer service strategy and will continue to be for the foreseeable future. The agents you want to hire need to have experience with these platforms. If a candidate found your ad on social media, it is fair to assume they use and are at least familiar with the platform. When hiring contact center agents, you want those who are adept at using the platforms your customers are using to connect with your brand. You need to be honest and transparent with your job posting. Being a contact center agent requires a certain personality and work ethic, and there’s no point sugar coating it. By listing how many calls you expect an agent to field in a day, types of calls they’ll be receiving, and realistic scope of the position, you will already weed out candidates who do not have the heart for the job. While job history and education are important factors for a new hire, spend some time in the interview putting their customer service skills to the test. Target your questions to showcase the candidate in scenarios similar to the job their applying for. For example, if they are going to work in customer service, ask questions that shine a spotlight on their empathy, problem solving, and earnestness. Talking on the phone is not quite the same as talking to someone in person. Test their skills on the phone first with a phone interview. This will give you a chance to hear them answer questions sincerely, respond under pressure, and measure the enthusiasm of their tone over the phone. Establish an employee referral program, go to career fairs, network on LinkedIn, and so on. These strategies will also be a valuable addition to your recruiting efforts. In an industry with exceptionally high turnover rates, the first step to reversing that trend is to hire ideal candidates at the outset. From there, everything else falls into place. Hire top talent, keep top talent, and provide an exceptional customer experience. Contact us today to discuss contact center hiring strategies.